Coming off of a rocky 14-game road stretch, Shoreline hosted its first softball game in almost two years. 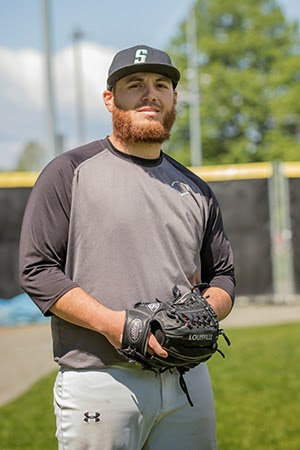 The Bellevue College Bulldogs (17-8, 9-2) visited the Shoreline Dolphins (2-14, 1-11) for a doubleheader on Sunday, April 12. Bellevue swept the doubleheader handily in a pair of convincing victories over the fledgling Shoreline Dolphins. Shoreline took a devastating 22-6 loss in game one and came up five runs short in a 12-7 loss in the game that followed. 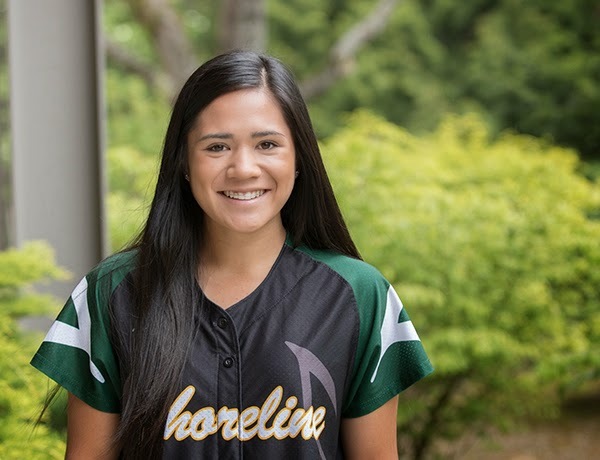 As Shoreline softball struggles to rebuild, a leader has emerged from centerfield. Sarah Casel leads the team in hits and runs, producing almost twice as much as any other Dolphin this season, and leads the entire NWAC in stolen bases with 24. 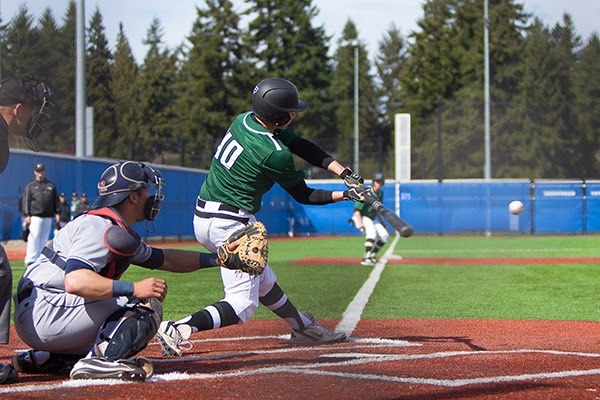 After starting out the season with an 18-game road trip, the Dolphins made their way back to Shoreline for a pair of doubleheaders against the Bellevue College Bulldogs. After a year of absence, softball is coming back to Shoreline. With a new head coach and a team made up fully of freshman, the season ahead is one of intrigue. “I’m excited to see what the potential is,” head coach Ben Reidel said of his team. Reidel was promoted from associate coach last year, and hopes to create a brand new atmosphere and a fresh start for the program. In the past if you wanted to watch Shoreline basketball but you were unable to get to campus, you were out of luck. Not anymore. Now if you wish to watch Shoreline play, you can simply go online and watch a live stream with commentary. For around a month now Shoreline has been working with Snohomish Times Sports Network (STSPN) to record and broadcast live Shoreline basketball games. STSPN also uploads all the games they film to their site and the Shoreline athletic YouTube account. After a controversial shot with 0.4 seconds left on the clock, Shoreline fell to Everett 74-73, ending Shoreline’s playoff hopes. The game appeared to be in hand with 14 seconds left, when Skylar Kelley hit a 3-pointer to give Shoreline a 1-point advantage. Kelley went 2-for-4 from behind the arc and finished with 6 points on the night. “I was happy he put it up there,” head coach Donald Brady said after the game. After the shot went in, the crowd burst into cheers as the team jumped into each others arms, victory in reach. On Saturday the Dolphins faced Northwest Athletic conference leading Bellevue. Shoreline’s Adam Johnson was hot from the arc hitting a big three pointer going into the half giving Shoreline a 6 point lead. Freshman Josh Wisumbroto came in playing well, making lay-ups, and when a spot was open to the hoop he would drive to the hoop and lay it in. “We just got to keep getting wins and if we keep doing that we’re in a good spot to make a run for the tournament,” guard Skyler Kelley said. Kelley finished with 8 points 3 rebounds and shot 50% from the Free Throw line.